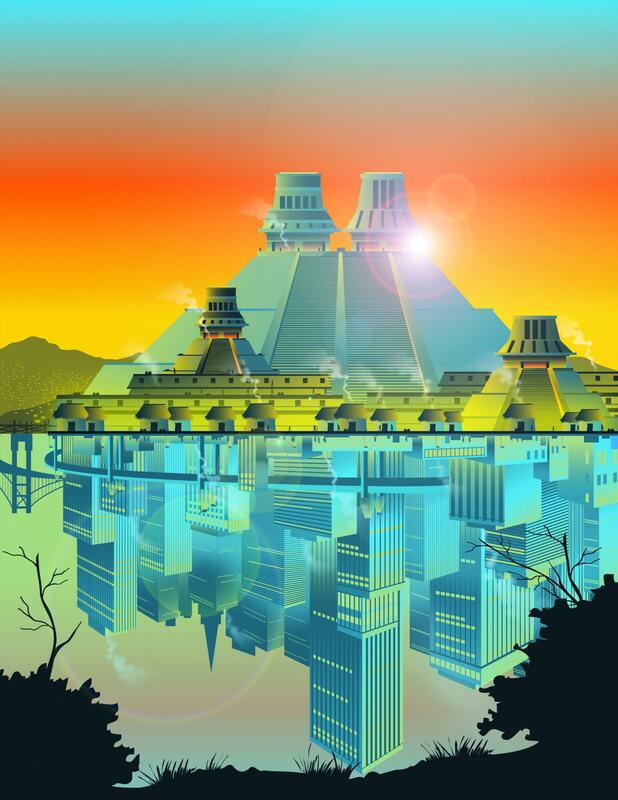 The underlying organizational ingredients of modern cities were present in ancient settlements in the Basin of Mexico. New research finds that the bigger the ancient settlement, the more productive and efficient it was…just like modern cities. SFI Professor Luis Bettencourt researches urban dynamics as a lead investigator of SFI’s Cities, Scaling, and Sustainability research program. When he gave a talk in 2013 on urban scaling theory, Scott Ortman, now an assistant professor in the Department of Anthropology at CU Boulder and a former Institute Omidyar Fellow, noted that the trends Bettencourt described were not particular to modern times. Their discussion prompted a research project on the effects of city size through history. To test their ideas, the team examined archaeological data from the Basin of Mexico (what is now Mexico City and nearby regions). In the 1960s — before Mexico City’s population exploded — surveyors examined all its ancient settlements, spanning 2000 years and four cultural eras in pre-contact Mesoamerica.